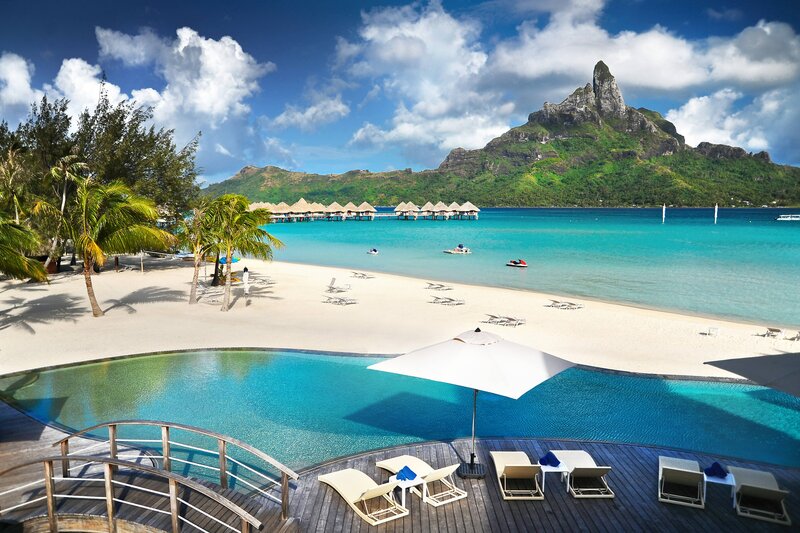 Situated amid a tropical paradise overlooking Mount Otemanu, Le Méridien Bora Bora places you in the perfect setting for a romantic retreat or peaceful getaway. One of French Polynesia’s most appealing destinations, our luxury hotel surrounds you with natural beauty amid a warm lagoon. Indulge your palate with a range of cuisine from three restaurants at our resort. Lounge on the white sandy beach, enjoy water sports in the lagoon, indulge in spa treatments at the Manahau Wellness Center or visit the Turtle Sanctuary, our Ecological Center dedicated to marine life. 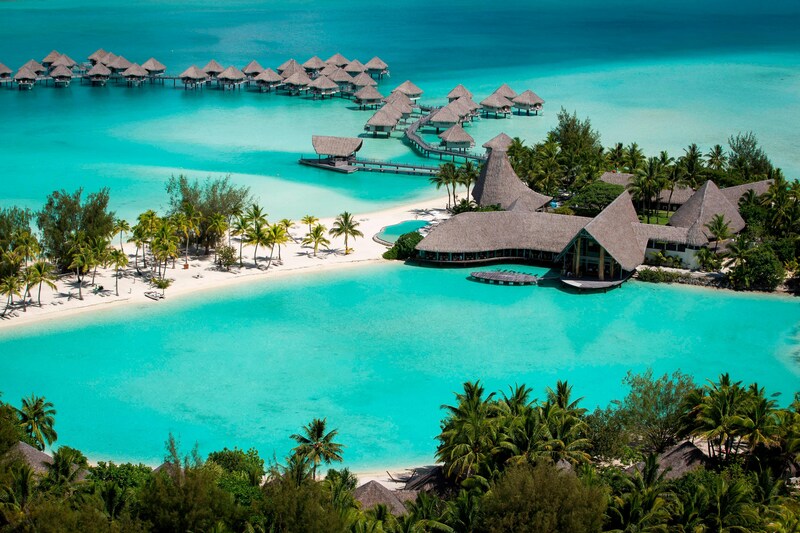 Enjoy a unique stay in one of 98 bungalows adorned in contemporary Polynesian style. Awaken in your Overwater Bungalow offering large glass-panel floors, relax in a Beach Bungalow alongside the inner lagoon or retreat to a Beach Villa with private plunge pool. Every day here is an adventure waiting to happen. 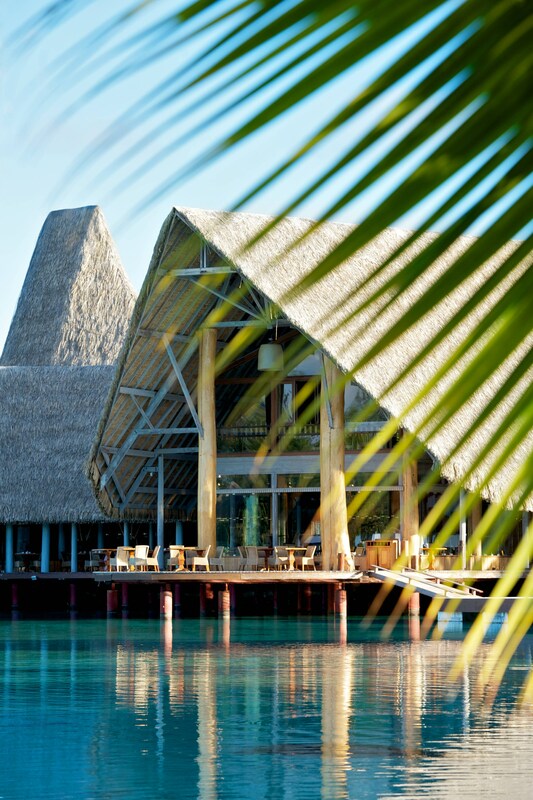 The Overwater Bungalows provide guests an unbelievable view of the lagoon. Each bungalow contains the largest glass-bottom floor of French Polynesia with a clear view of the vibrant activity of Bora Bora’s marine life. Ladders from the deck make it easy to slip into the lagoon’s clear water for a swim. 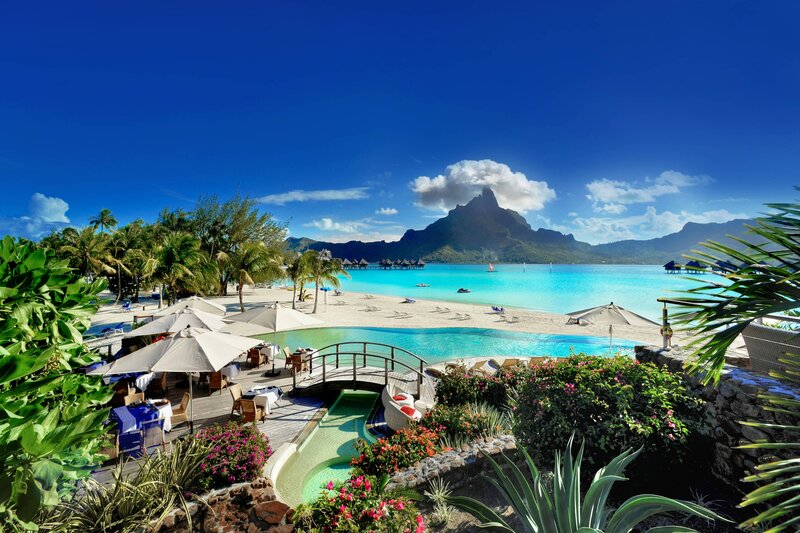 Located with breathtaking views of Mount Otemanu, embrace the inimitable beauty of French Polynesia. This luxury hotel is nestled on a magnificent islet surrounded by the cerulean waters of a private lagoon, setting the stage for an unforgettable tropical getaway. Located next to the inner lagoon, the Ecological Center is an educational tool to safeguard our environment. Multiple activities are proposed such as turtle feeding every day, a touching pool, educational aquarium tanks and a museum. 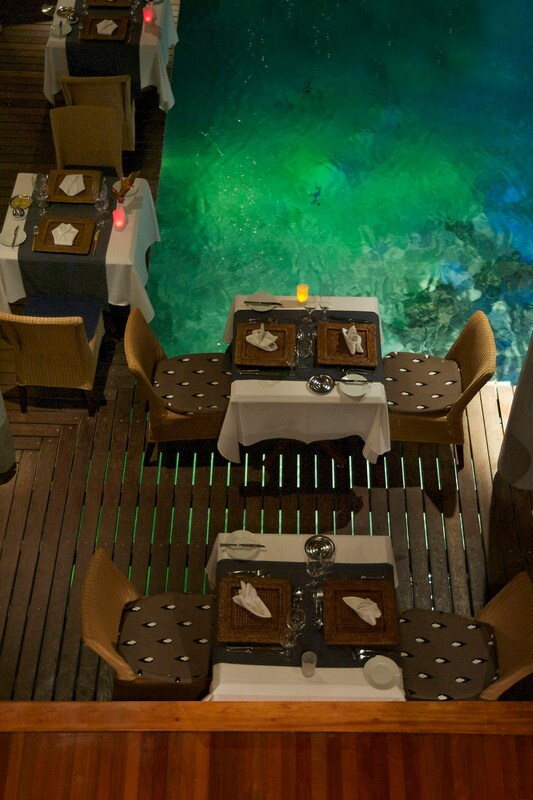 Located along side of the interior lagoon, Le Tipanié restaurant is the perfect place for those urges for authentic local cuisine. 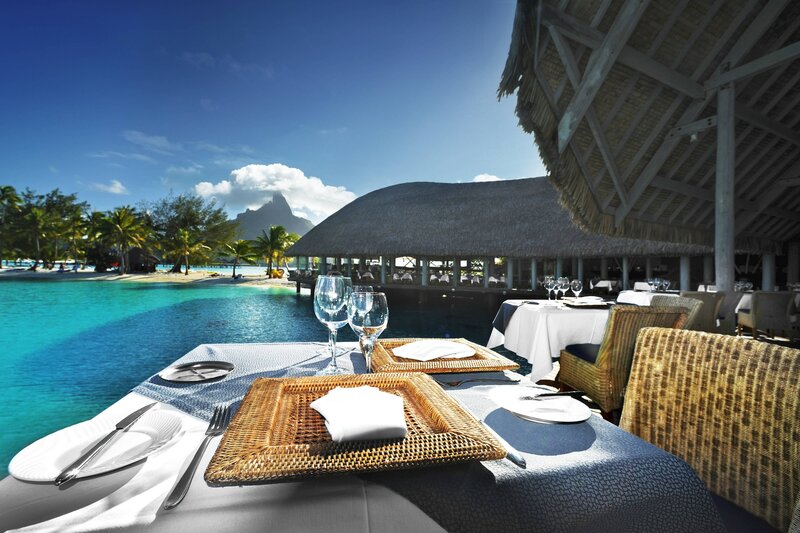 Le Tipanié restaurant offers a semi-gourmet menu with a selection of Polynesian and international specialties.